It’s ten years since Adam Cullen won the Archibald Prize with a portrait of actor David Wenham. And what better way to celebrate than to be represented twice in this year’s exhibition – as a finalist with this portrait of artist Gareth Sansom and as the subject of a portrait by Nigel Milsom. Sansom has always been something of an innovator in Australian art. Born in 1939, he was one of the first to be influenced by pop art. 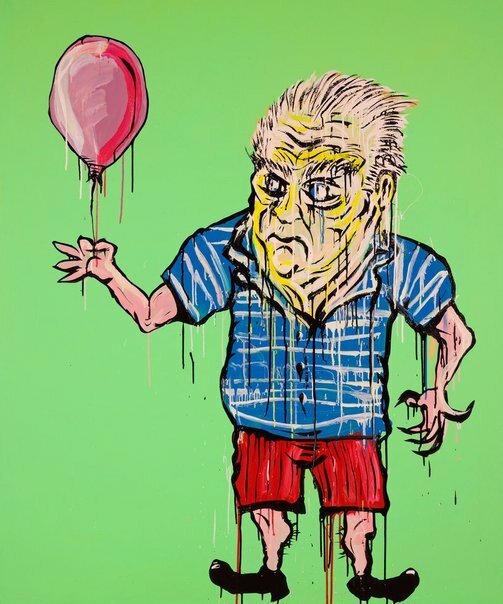 His eclectic, often playful paintings are full of historical and cultural allusions as he brings his distinctive personal vision to bear on themes including mortality, sexual identity, aging and popular culture. He was a teacher for 35 years, 15 of them as dean of the School of Art at the Victorian College of the Arts. Born in Sydney in 1965, Cullen lives in the Blue Mountains. An exhibiting artist since 1990, he has shown work in over 200 group and solo exhibitions in Australia and overseas. In 2008, the Art Gallery of NSW mounted a survey of his work called Let’s get lost and in 2006 Penrith Regional Art Gallery had a 10-year retrospective of his works on paper. He represented Australia in the Sao Paulo Biennale of Contemporary Art in Brazil in 2002. He is represented in every Australian state gallery as well as in numerous regional galleries and private collections around Australia. 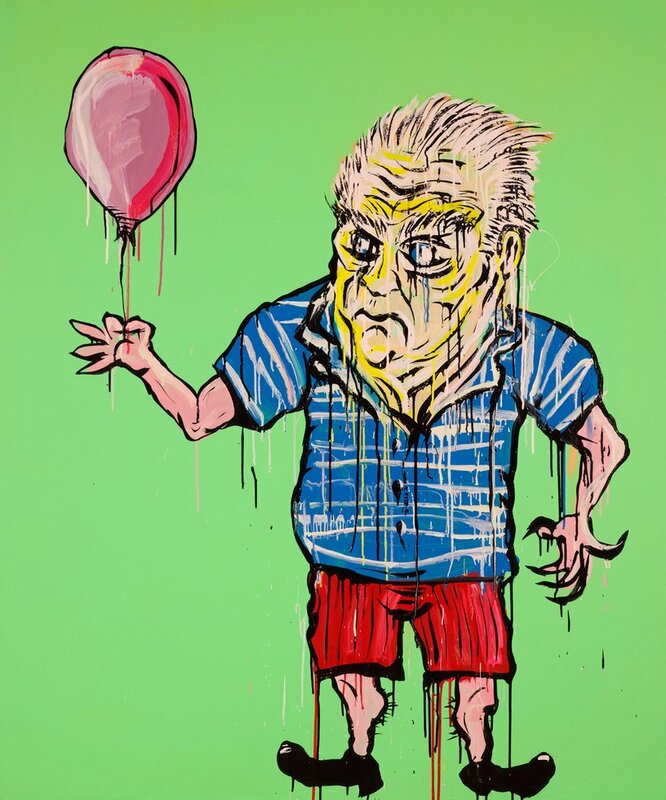 This is his ninth time in the Archibald Prize.